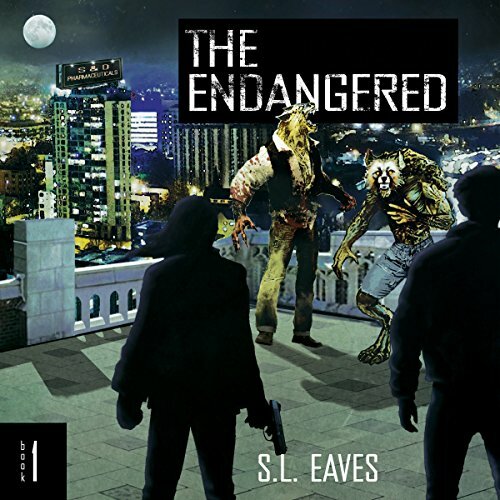 Audiobook one of the Endangered series introduces Lori, a newly turned vampire who's been pulled into the middle of a war against werewolves who are infecting humans and threatening to take out the last of their kind in the process. S&D Pharmaceuticals is developing a new vaccine with sinister side effects. A viral outbreak has the humans begging for a cure, and Striden, the CEO of S&D, offers a remedy that promises to cure the virus, but is engineered to turn its unsuspecting patients into werewolves. The werewolves are opposed by an allegiance of vampires who, while initially out for revenge, stumble onto the wolves' plans for mass infestation. Among the vampires is an ambitious rebel named Catch and his newly turned protege, Lori. Catch brings this treacherous world to Lori's doorstep and turns both their worlds upside down in the process. Secrets are exposed, allegiances are formed, and blood is spilled as they do everything in their power to preserve both their own kind and their food supply.